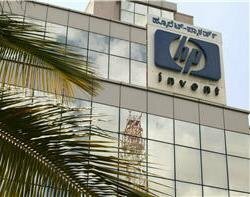 HP has unveiled a suite of services that aim to rationalise applications in businesses. Its Application Transformation portfolio includes services for application modernisation, Windows 7 migration and hybrid cloud deployments. These include private clouds for Microsoft Exchange and Microsoft Dynamics CRM. HP is developing a hybrid delivery model, where hardware, software and services co-exist. "We believe we have the right technology to underpin the cloud. Security products and the application lifecycle management will govern deployment of applications," said Peter Schofield, EMEA practice director at Hewlett-Packard Enterprise Services.